New Inquiry to Action (ITAG) Opportunity! Please register for: Why We Say Black Lives Matter: Affirming our Existence in Schools ITAG, if interested or pass along to other networks. An ITAG is an inquiry to action group that meets around a particular concept to engage in political education with the goal of bringing together theory and action. After presenting at TSJ's 2015 Curriculum Fair, David Stovall, Stephanie Hicks and myself wanted to further that conversation beyond that space and work with educators to address anti-Black racism in schools. 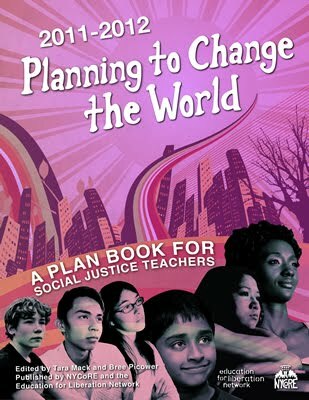 Participants have developed curriculums, participated in protests and formed other political study groups as part of their action piece in the ITAGS hosted by Teachers for Social Justice and NYCORE in New York. Those are just examples of the many possibilities that may develop from the space. So register to come join us as we collectively unpack the ways anti-Blackness shows up in educational spaces and work towards making sure Black children know their lives matter. Please register here:https://docs.google.com/forms/d/e/1FAIpQLSeCJO2dqCfZiKxXh2ETUnduyWHph3SDuIQEcxIVPjGx_y0WHg/viewform.